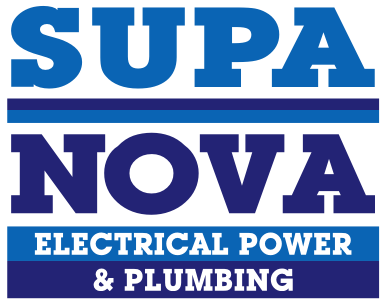 Supa Nova is a one-stop electrical contractor for all your residential, business and industrial electrical maintenance needs. Whether you require installation wiring, electrical repairs or control system programming, if you’re in the Johannesburg area, there’s no job too big or too small for Supa Nova. From the planning phase right through to installation, Supa Nova’s team of electricians thinks on their feet to complete your project before the mandated “go-live” time. Strict attention is paid to all details and aspects of the project, especially safety. We are certified, highly trained, experienced and adequately insured to offer you complete peace of mind. In new construction or electrical maintenance or when an existing process is being overhauled, Supa Nova electrical can be your single point of contact for the electrical power and controls aspects of the project. We have personnel with Professional Electrical Licenses that can help to plans that are suitable for approval and will assist with the flow process of getting plans through “plan checking”. During the tear-out phase of the project, Supa Nova electrical will render mechanical equipment safe to be dismantled and removed by disconnecting all loads. Supa Nova’s electric services also include safely and responsibly removing and disposing of the relevant equipment. We also have a great amount of documented success with critical shut-down situations. Supa Nova’s electricians will work in collaboration with mechanical equipment vendors, if the project includes equipment with dedicated controls, to be sure their control and power wiring needs are met. As certified electrical contractors, all installations done by Supa Nova are covered by a professional Certificate of Compliance – a legal requirement when you sell your property. The new regulations make it clear that no owner may sell their property without a valid Certificate of Compliance (COC) from a licenced electrical contractor. This certificate has to cover every addition or alteration to the installation. A transfer of a COC is not permitted if the COC is older than 2 years or if any alterations or additions were made at the property, except if there is an additional COC to confirm its compliance. This gives you the peace of mind, knowing that only certified electrical contractors have worked on your home or business. The ultimate tool for troubleshooting and maintenance. Built for tough work environments, this high-performance, fully radiometric infrared camera is ideal for troubleshooting electrical installations, water leak detection, electro-mechanical equipment, process equipment, HVAC/R equipment and others. IR-Fusion is a patent-pending technology that simultaneously captures a digital photo in addition to the infrared image. The resultant merge of the two images makes sense of the thermal information, taking the mystery out of IR image analysis. Consider the alternative to mains power. We are able to provide solutions for your home or business, talk to us about the possibilities. The backup power system is not only a vital part of your load-shedding solution, but also the backbone of your full solar system. Choosing the right backup power system (e.g. solar inverter + solar batteries) is very much a personal choice based on a number of factors that the building owner needs to take into consideration. Do they for example have very specific needs and desires that need to be addressed or is convenience key? Do they want great returns on their investment, savings on their electricity bill or do they want the most affordable option? These are just some of the aspects that come into the equation. Every household is unique and we strive to meet your specific needs, be it independence from the grid, a reduction in electrical cost or a move to a green residence. A solar power system is customized, so pricing and savings vary according to physical location, environmental factors, system size and local utility rates – there are no standard systems or ‘kits’ and a lot of complex calculations are involved. There are many solar companies out there so keep these factors (as well as the quality and efficiency of the solar equipment offered) in mind when asking for a quotation. You can rest assured knowing that (Supa Nova Energy Solutions) is an established solar company with a good reputation and service backup. You can upgrade your Photovoltaic system at any time.